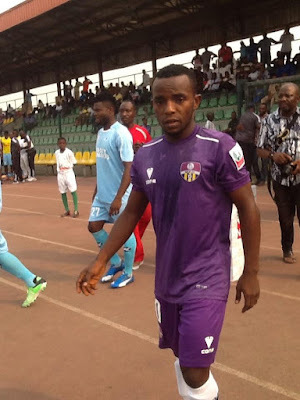 MFM resourceful midfielder, Chukwuka Onuwa, believes his teammates can maintain their home record over Lobi Stars as both sides clash in Sunday’s Nigeria Professional Football League match day three encounter. Sunday’s match comes immediately after the 4-0 pounding received at FC Ifeanyi Ubah and the second time they will play Lobi since their Gold Cup final penalty loss in Ijebu-Ode, during pre-season. “Our focus now is on Lobi Stars game with the sole aim of recording the three crucial points as stake. “Don't forget that we played Lobi during the Gold Cup pre-season tournament in Ijebu-Ode and we also saw their game against Shooting Stars where they lost 2-0. Their approach on the field of play is not new to us. “The players know the importance of the game and we have urged ourselves to go all out for victory”, Onuwa told the club website mountaintopfc.com on the eve of the match. Onuwa applauded the club’s supporters for the reception following the heavy defeat at FC Ifeanyi Ubah. 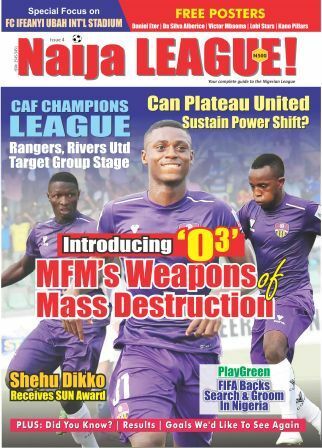 Sikiru Olatunbosun’s opener and a brace from Musa Newman gave MFM a three-goal lead before Nanen Imenger pulled one back to make it 3-1 in their previous meeting, in Agege, last term.